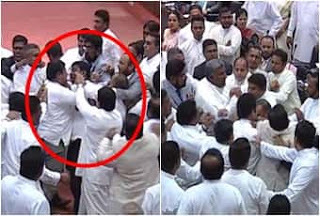 The full CCTV footage and the report over the clash in Parliament on Tuesday would be released to the media and the people according to a decision taken at a Committee meeting Chaired by the Speaker, Minister Mahinda Samarasinghe said. The report was prepared by the Deputy Speaker Thilanga Sumathipala, who headed the committee. Selvam Adaikalanathan was the other member in the Committee. The report was handed over to the Speaker yesterday and the MPs has been suspended over the clash.